Two legal marijuana markets are facing some growing pains, the State Department speaks out on Bangladeshi drug war killings, and more. California Pot Shops Will Have Glut of Cheap Weed, Followed By Possible Shortages. Faced with a July 1 start date for new state-mandated safety standards for marijuana products, marijuana retailers are having to move piles of untested product left over from the state's unregulated grey market before that deadline. That means the likelihood of cheap weed deals in the next couple of weeks, but it also means there is likely to be a shortage of tested product in the early days of the new regime because of a lack of certified testing labs and state-authorized legal market providers. Senate Panel Advances Hemp Legalization. The Senate Agriculture Committee on Wednesday passed the 2018 farm bill. 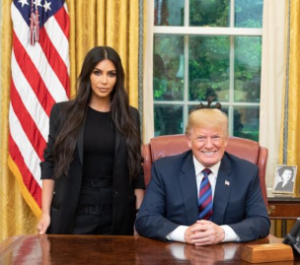 The bill includes hemp legalization legislation backed by Senate Majority Leader Mitch McConnell (R-KY), who argued in support of the measure during Wednesday's meeting. It now heads for a Senate floor vote. US Expresses Concern Over Bangladesh Drug War Killings. The United States urged Bangladesh to meet its human rights obligations as it expressed concern over reports that more than 21,000 people have been arrested and 147 killed since the government of Prime Minister Sheikh Hasina launched its anti-drug campaign a month ago. "We urge Bangladesh to conduct thorough and transparent investigations into all credible reports of extrajudicial killings," State Department spokeswoman Heather Nauert said in a statement. "While illegal drugs are a scourge across the world, Bangladesh should ensure its law enforcement respect human rights and that their conduct is consistent with international standards and Bangladesh's own constitution, which includes a presumption of innocence and the right to due process. We look to the Government of Bangladesh to fully meet its human rights obligations," she added. Bangladeshi Home Minister Asaduzzman Khan Kamal brushed the statement aside, insisting that "no extrajudicial killings took place in the ongoing anti-drug drive." Five Years After Legalization, Uruguay Has Marijuana Supply Problems. The country legalized marijuana in 2013, but legal sales only began last year, and the path is still rocky. Pot is supposed to be sold in the nation's pharmacies, but so far, only 14 of about 1,200 have registered to participate, making the black market a more attractive option for some consumers. While Uruguay's law allows individuals to grow for themselves and collectives to grow for their members, the government is in charge of marijuana cultivation for sale at pharmacies, and it has so far licensed only two cultivators. The government sees the problem: "The demand is greater than our productive capacity," said Diego Olivera, head of the Uruguay National Drugs Council. "We have to address that challenge." California lawmakers forego an opportunity to cut legal pot taxes, Pennsylvania's third largest city decriminalizes marijuana possession, the head of a UN agency calls on Latin America to consider drug legalization, Bangladeshi drug war killings mount, and more. 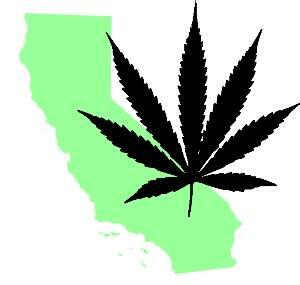 California Bill to Lower Pot Taxes Voted Down. Even though legal marijuana sales and tax revenues are much lower than anticipated, the legislature has passed on an opportunity to entice people away from the black market by cutting legal marijuana taxes, which can reach 50% of the purchase price when state and local taxes are included. A bill that would have lowered the state excise tax to 11% and suspended grower taxes for three years, Assembly Bill 3157, was defeated in the Assembly Appropriations Committee last Friday, but sponsor Tom Lackey (R-Palmdale) said he hoped it could still be revived this year. Colorado Grew 500 Tons of Legal Marijuana Last Year. Legal marijuana growers produced nearly 500 tons of pot last year, the Colorado Marijuana Enforcement Division reported last Friday. That turned into 411,000 pounds of purchased buds and more than 11 million edibles sold. The trend of production increasing each year since legalization continues. Allentown, Pennsylvania, Decriminalizes. Pennsylvania's third largest city has now decriminalized the possession of small amounts of marijuana. Allentown Mayor Ray O'Connell last Friday signed into law a measure passed 4-3 by the city council that makes possession of 30 grams or less a summary offense with a fine as low as $25. Head of UN Agency Says Latin America Must Consider Legalizing Drugs. Alicia Barcena, head of the Economic Commission for Latin America and the Caribbean (ECLAC), told a weekend forum in Paris that Latin America must seriously ponder drug legalization to reduce the human costs of drug prohibition. "I'm going to be very provocative. Who would drug legalization be good for? Latin America and the Caribbean, for God's sake. Because the illegality is what's killing people," she said. "It's time to seriously consider legalizing drugs." 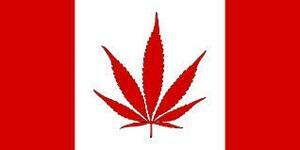 Canadian Senate Committee Approves Marijuana Legalization Bill. The Senate Social Affairs Committee has approved the C-45 marijuana legalization bill with 40 amendments (most of them merely technical), including one that would give provincial governments the ability to ban homegrown marijuana. The committee's amended version of the bill will now go back to the Senate as a whole, which will decide whether to accept or reject the amendments or propose additional changes. The Senate has agreed to hold a final vote by June 7, which would allow the Trudeau government to meet its promise of having legal marijuana up and running by the end of summer. Taliban Commander Orders Drug Labs Moved Out of Urban Areas to Avoid Civilian Casualties from American Air Strikes. The Taliban's shadow governor of opium-producing Helmand province has ordered drug labs moved out of populated areas because American air strikes are killing a rising number of civilians. Mullah Manan said that "due to one factory hundreds of the public are at risk from bombings and missiles" and called for facilities to shift to "mountains and valley sides" instead. Under looser rules of engagement under the Trump administration, bombing raids have nearly tripled in the first three months of this year compared with 2017. Bangladesh's Murderous Anti-Drug Campaign Continues. Amid rising fears of a Philippines-style war on drugs, the latest reports are now that the toll has risen to 86 killed and more than 7,000 arrested since the government announced a new anti-drug offensive earlier this month. Human Rights Watch is speaking out, with Meenakshi Ganguly, the group's South Asia director warning that the government "should heed concerns and allegations by families and activists that several of these deaths could be extrajudicial killings." New York Mayor Bill de Blasio wants to see an end to public pot smoking arrests, Utah medical marijuana supporters are fending off a court challenge, the "Philippine disease" appears to be spreading to Bangladesh, Afganistan sees a bumper poppy crop, and more. Michigan Opposition Marijuana Poll Has Initiative in Lead, But Under 50%. 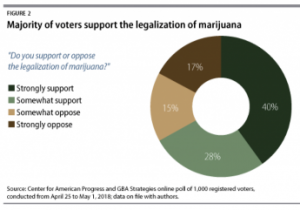 A new poll commissioned by opponents of Michigan's marijuana legalization initiative had it with 48% support, 11% undecided, and 42% opposed. After pollsters produced arguments in favor of the initiative, support stayed at 48%, but opposition dropped to 36%. After pollsters introduced arguments against the initiative, support actually jumped one point to 49%. New York Mayor Tells Cops To Stop Arresting People for Public Marijuana Use. Over the weekend, Mayor Bill de Blasio (D) told the NYPD to just issue summonses for public pot smoking instead of making arrests. The NYPD already has a working group that has begun to evaluate its marijuana enforcement policies and will present recommendations within 30 days. Now the mayor has made it clear that an end to arrests for public pot smoking is one of the changes he wants. Utah Medical Marijuana Initiative Supporters Fight Back in Court. Supporters of the medical marijuana initiative showed up in court Monday to intervene in a lawsuit that seeks to prevent the initiative from going before the voters in November. The Utah Patients Coalition is seeking to block a lawsuit from Drug Safe Utah that argues state officials were not legally allowed to approve the initiative. 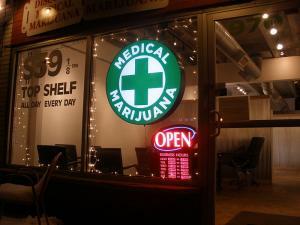 West Virginia Lawmakers Seek Special Session for Medical Marijuana Financing. Some state lawmakers are seeking to force Gov. Jim Justice (D) to call a legislative special session to address financial problems with the state's medical marijuana law. A special session that ended Monday failed to address the issue. For another special session to be called, at least three-fifths of each chamber must sign on. That figure has been met in the Senate, but not yet in the House. 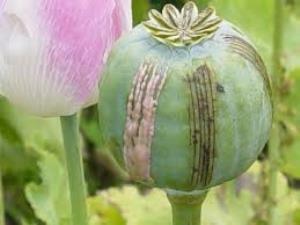 UN Says Afghan Opium Poppy Production Increased Sharply Last Year. Opium poppy production expanded sharply in Afghanistan last year, increasing from roughly 500,000 acres in 2016 to more than 700,000 acres last year. That's an all-time high, the UN Office on Drugs and Crime said. UNODC said no single factor explained the increase but cited "political instability, lack of government control, and security" as main drivers. Bangladeshi Opposition Warns of Police Killings of Drug Suspects. The country's leading opposition party, the BNP, on Monday accused the government of "indulging in extrajudicial killings" in the pursuit of a country-wide anti-drug drive. "A fresh drive to control narcotics has begun," BNP General Secretary Mirza Fakrul Islam Almagir said. "We also want the country to be free from drug abuse and those involved in it to be brought to justice. But it does not mean people should be killed unlawfully without trial." Almagir added that the government was now killing drug suspects in just the same way it had unlawfully killed opposition leaders and activists. Almagir also suggested the ruling Awami League should clean up its own house first.